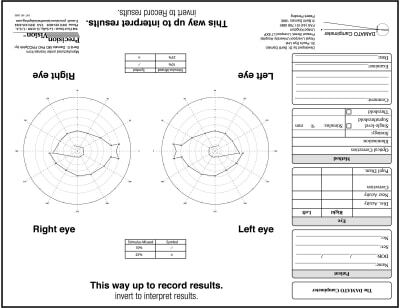 A visual field test measures your entire scope of vision, which includes both central and peripheral vision. 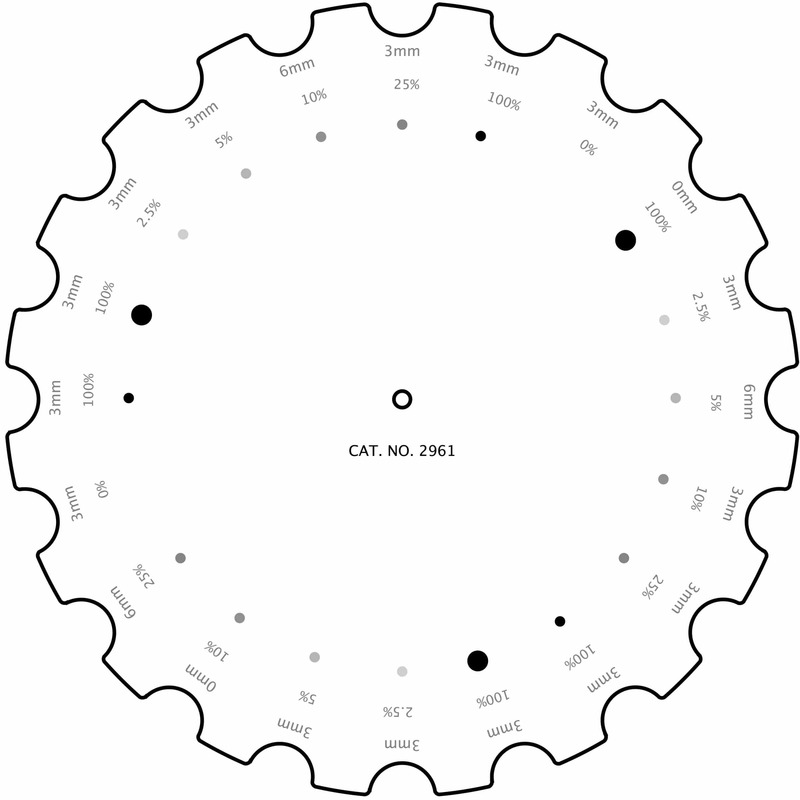 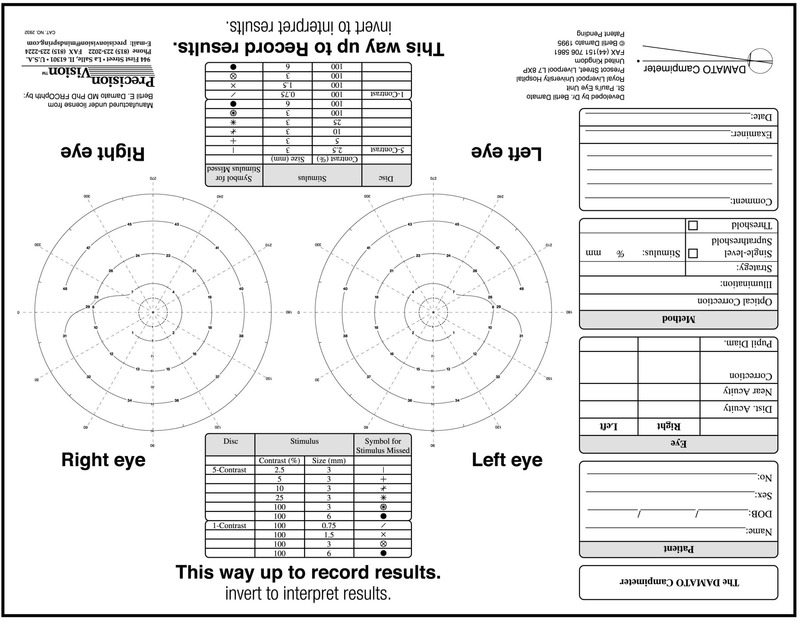 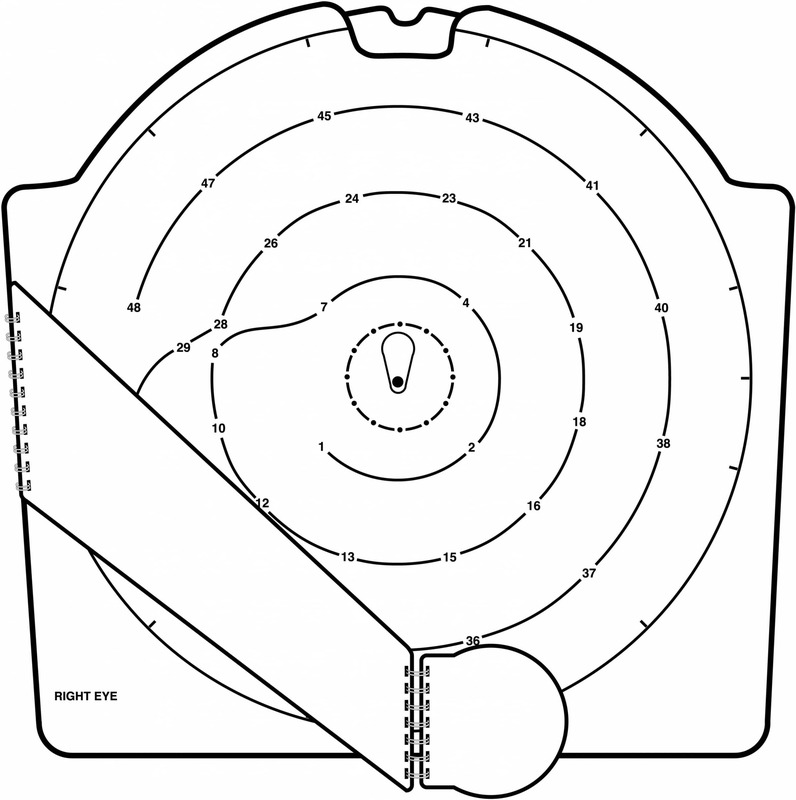 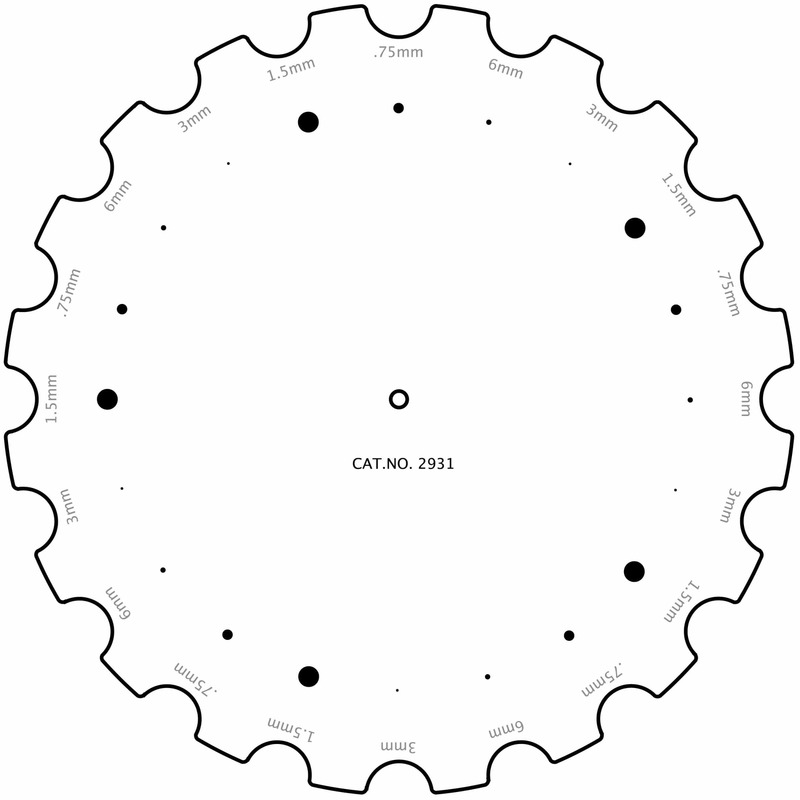 With a visual field test, the doctor maps the visual fields of each eye individually. 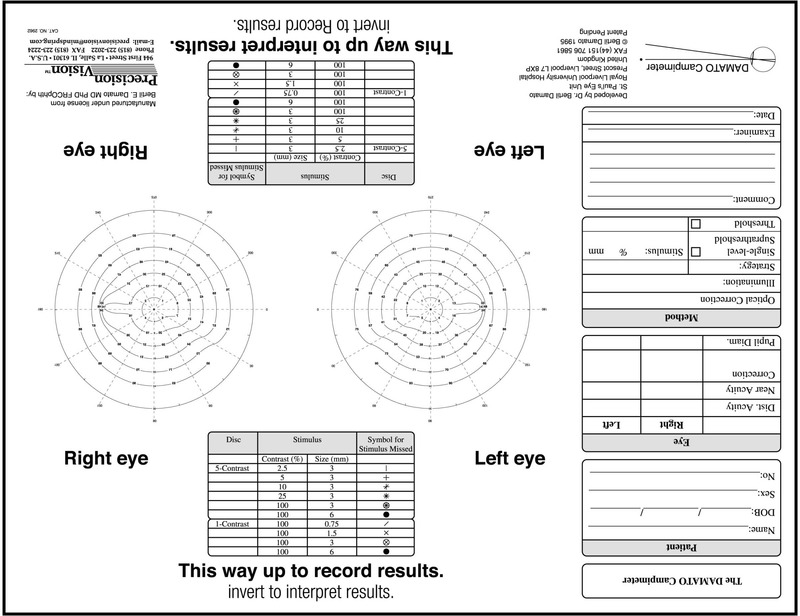 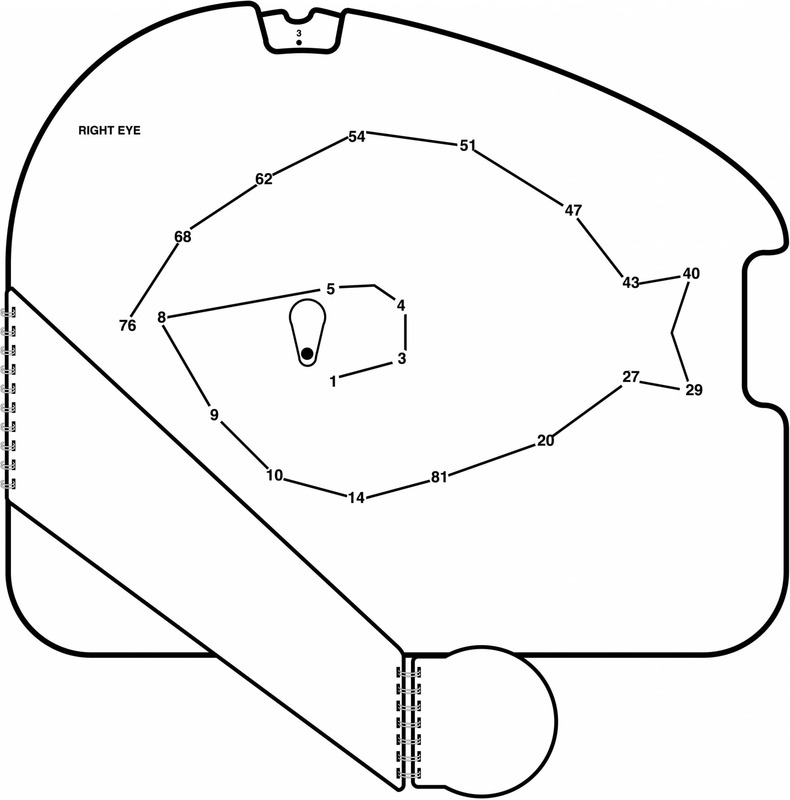 Subject cooperation is essential to determine visual field loss, as the visual field test is subjective. 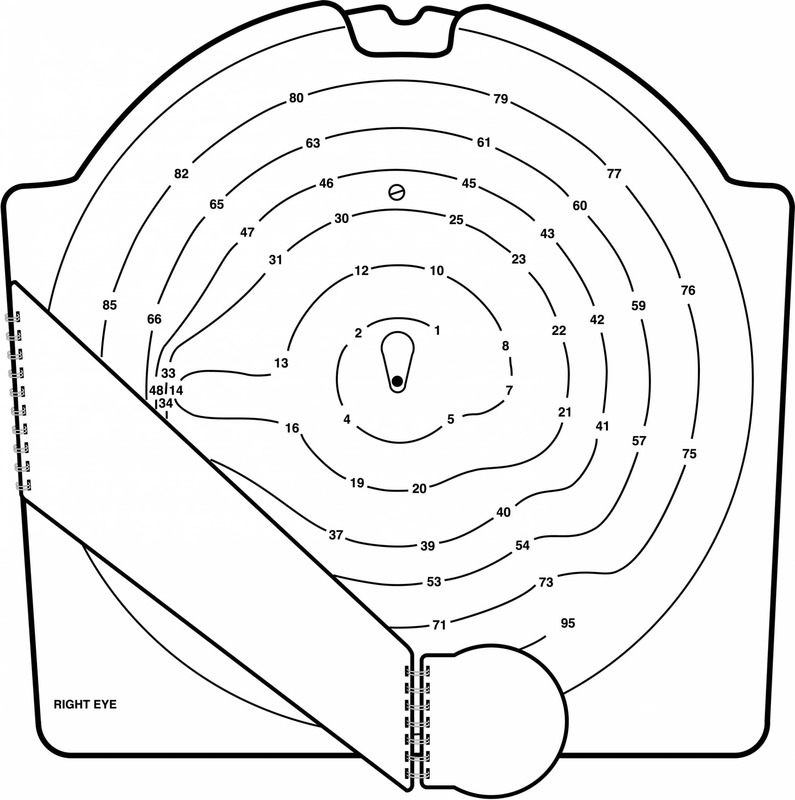 The visual field test is most often used in glaucoma testing. 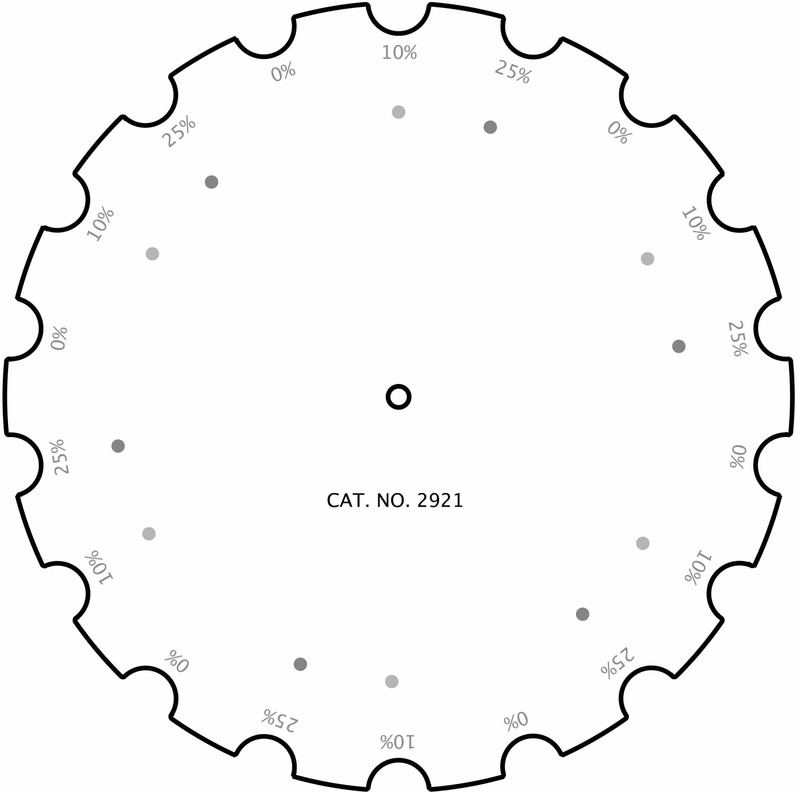 Precision Vision offers a number of visual field test products, include Damato Campimeters, which are specially developed for a glaucoma test.